Croc skin Selmer Treble and Bass guts. Horrible state. This came in because it has a bit of noise when used with a reverb. 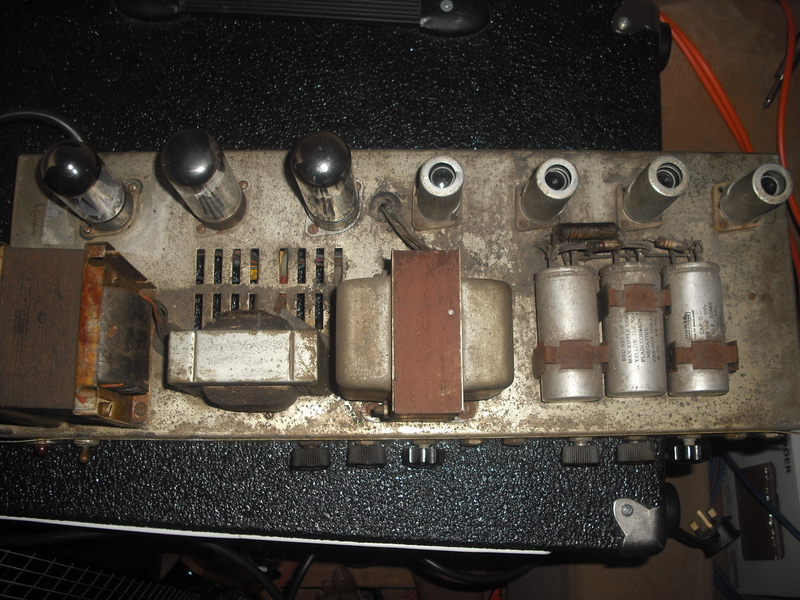 Interesting caps, note that valve rectifier there. 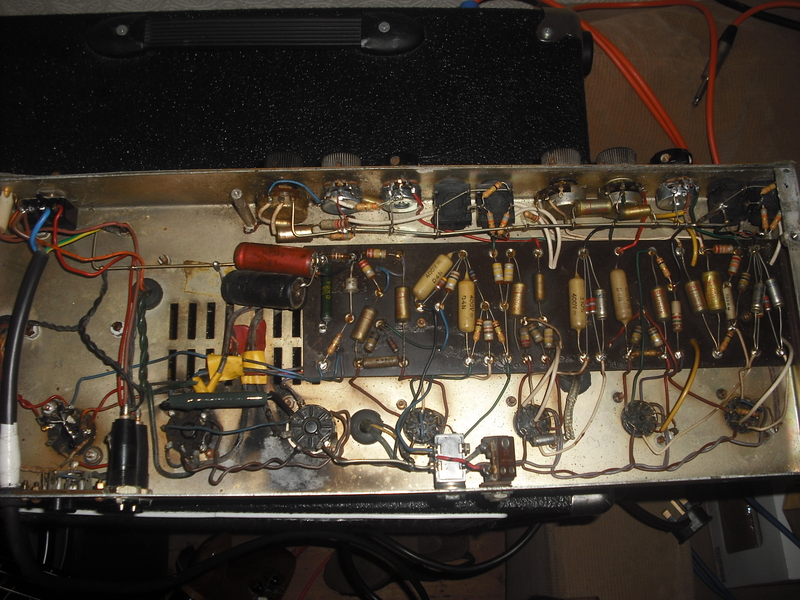 Underneath, note that solid state rectifier there. Someone has disconnected that, and put it back to valve, but left everything else. Clearly toasted a valve which started a fire inside, but all the burnt wires have just been electrical taped. After hoovering it out, checked the fuses, and the ground, those are fine, so turned it on, since it was ‘working’ an I’m only looking for a noise. That bundle of wires caught fire. The noise was the shield on a wire on a preamp valve base touching the heater. This needs a proper rebuild.